Welcome to Spring with this fabulous collection of Dutch tulips. How can you go wrong with a dose of Spring colors. 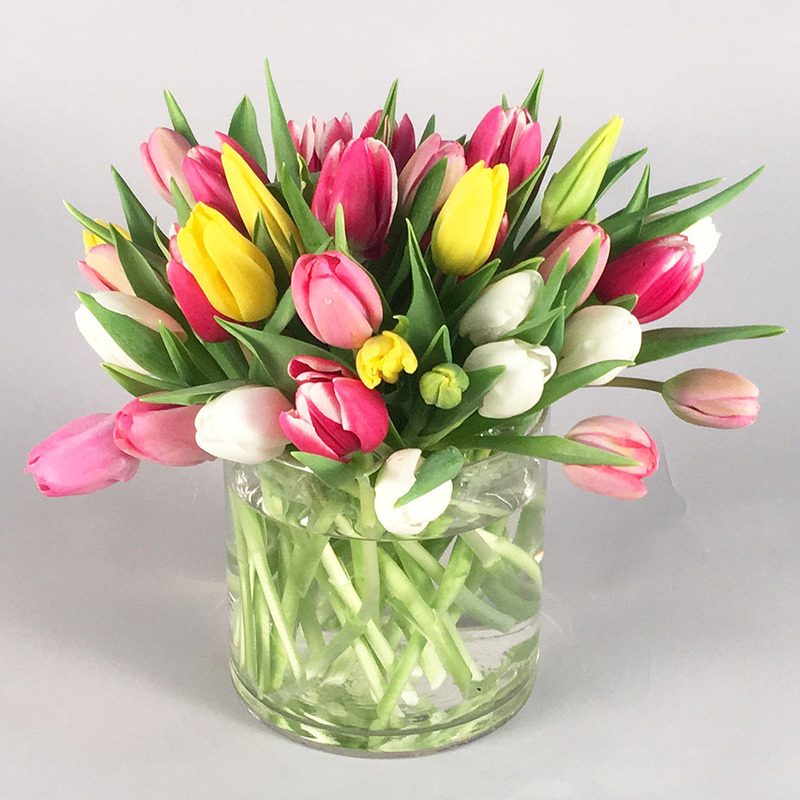 We've put 40 stems of bright colored tulips in this 6″ clear glass cylinder. Perfect for your kitchen table, as a centerpiece for your cocktail party or just as a gift for someone needing a boost. 11″ tall and 11″ wide. Colors will vary upon availability. Please let us know your favorite color choices in the additional comments field and we will match as best we can.